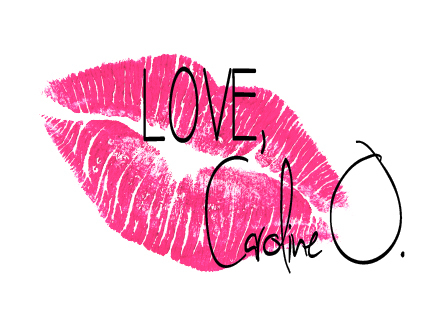 Month of the Dead - Love, Caroline O. 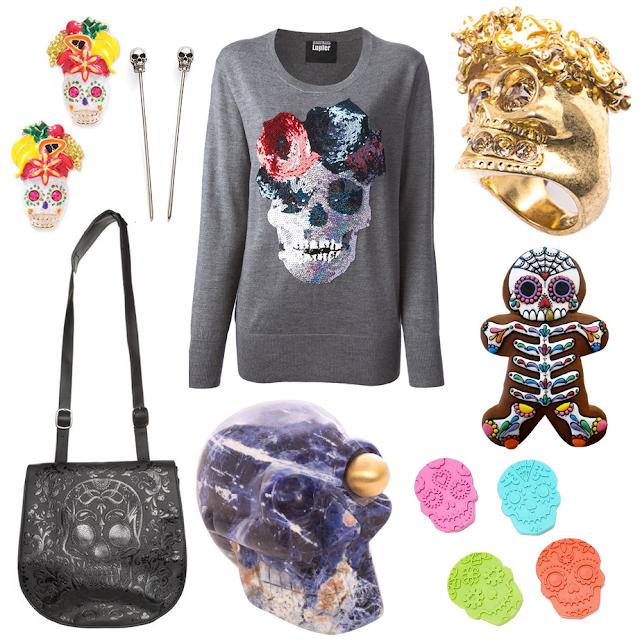 Ever since I was little (and I mean like Girl Scout age), I've had a fascination with skulls. As a renown Mexican and die-hard Frida Kahlo fan, I know that October means the coming of the Day of the Dead -- November 1st & 2nd. 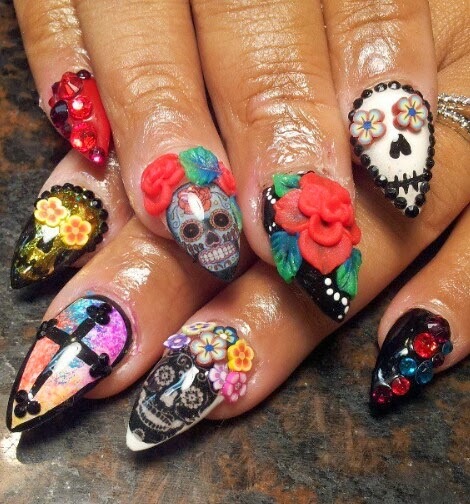 My mom used to take me to Mexico annually (which was only 30 minutes away from my front door) to get a dozen or so sugar skulls. 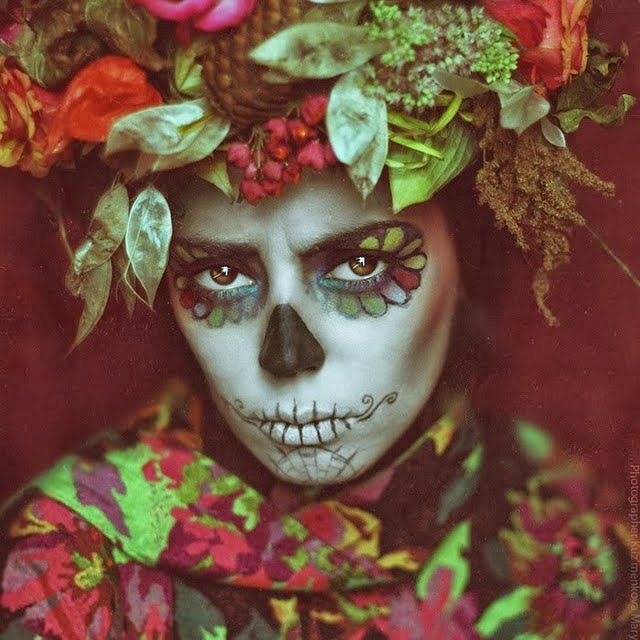 Every sugar skull, which measured about an inch in diameter, would have a tiny colorful paper across the forehead with a name of a deceased person. The cemeteries in Mexico would be lit up with bright flowers and alters, making the grey and forgotten tombstones look like gardens. My obsession continued in college. I loved to volunteer as a member of Spanish-speaking club at Tech for the Day of the Dead festivities. My sophomore year I even went as far as theming my dorm Mexican-- think cacti in large margarita cups and black and gold skull tapestries. 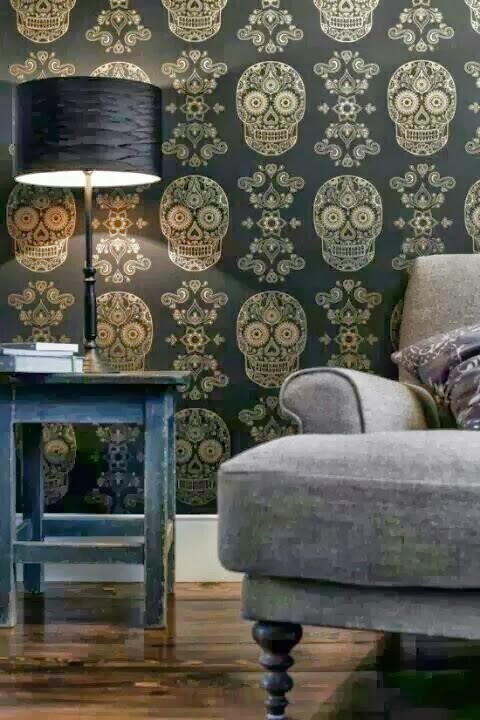 I had a friend who shared my love of skulls, and every year we would go shopping to the day-after Halloween sales at Target in search of skull decor. Another good friend of mine, an artist that's particularly inspired by our heritage, would send me paintings of skulls with floral crowns (lucky me). Eventually, the fad spread. Skulls were no longer meant for just Halloween and Hot Topic. Designers like Betsy Johnson and artists like Lady Gaga saw the beauty in the skeletal heads. Today alone, as I strolled through the mall on my way to my favorite coffee shop, I saw three shop windows with skull sweaters. Tis the season to love weird stuff.